Schrier Optometric Associates would like you to know that we are a family business, and we are about to celebrate our 33rd anniversary. ​Our office has the latest equipment and technology. In addition, we carry a full range of frames, prescription lenses and contact lenses. 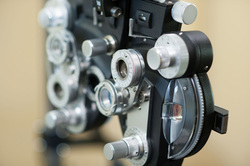 We accept most insurance plans including Oxford, Medicare, GHI, Aetna, VSP, Eyemed, OptumHealth and Davis Vision. ​Quality and service are extremely important to us.